Are you missing Flashpoint on CBS? Can’t wait for it to return to primetime? Well, we have some good news and bad news. On the downside, season four of Flashpoint averaged a 1.1 rating in the 18-49 demographic and 6.25 million viewers on CBS. That made it the weakest original programming on the network. It won’t be back. On the positive side of things, the ION cable channel has licensed the first four seasons of Flashpoint and is ready to start airing them. That’s 62 episodes, including 11 installments that CBS didn’t purchase the rights to run. They begin airing on Tuesday, October 18th. What’s more, ION acquired the rights to air all of the existing episodes of Flashpoint from CBS Television Distribution — as well as any future episodes. Flashpoint is produced in Canada for the CTV network and they’ve already ordered a fifth season of 18 installments. If ION finds rating success with the 62 they’ve already licensed, they have the exclusive option to purchase the new episodes as well. NEW YORK, September 12, 2011- ION Television premieres its newly acquired hit police drama “Flashpoint” on Tuesday, October 18 at 10pm ET/PT with new original episodes. ION Television, the new home for the award-winning series, will schedule “Flashpoint” in a two-hour block on Tuesdays from 10pm-12am ET/PT and again on Saturdays from 9-11pm ET/PT. To support the series launch, ION Television will unveil an integrated marketing campaign, including television, print, out-of-home & digital advertising. As part of the campaign for the first-time ever, ION will feature a Quick Response code on all printed marketing elements, which will provide fans access to exclusive cast interviews, a never-before-seen sneak peek from the premiere episode and entry into the ‘Flashpoint Alert’ contest, starting September 26th. The online contest provides fans a chance to win weekly cash prizes by scheduling the premiere episode onto their digital calendars and their social media platforms. ION Television, a top-10 network, acquired the rights to all existing episodes and future production of “Flashpoint” from CBS Television Distribution earlier this year. The production of the season’s upcoming episodes marked ION Television’s first venture into originals planned by the network in the coming year. “Flashpoint” joins ION Television’s primetime line-up of hit off-network series such as “Psych,” Monk,” “Criminal Minds,” and “Without a Trace,” and its blockbuster theatricals, which have driven record ratings for the network. The new series joins the schedule on the heels of ION’s recent acquisition of the hit series “Leverage” and “House,” both set to launch on ION in 2012. 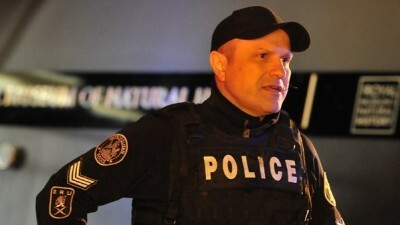 Starring Hugh Dillon (Durham County), Enrico Colantoni (Veronica Mars), Amy Jo Johnson (Felicity) and David Paetkau (Whistler), “Flashpoint” is the nail-biting cop drama and an emotional journey into the tough, risk-filled lives of a group of police in the Strategic Response Unit (inspired by Toronto’s Emergency Task Force). Members of a highly-skilled tactical team, they are trained in negotiating, profiling and getting inside the subject’s head to understand the emotional breaking point (the “flashpoint”) that triggered the crisis. “Flashpoint” is produced by Pink Sky Entertainment and Avamar Entertainment in association with CTV and CBS. Executive producers are Anne Marie La Traverse and Bill Mustos. Creators are Mark Ellis and Stephanie Morgenstern. David Frazee is Series Consultant. Source: Top 10 Rank; Nielsen Media Research, Live+SD, 9/27/2010-8/28/2011, M-Sun 7P-12A, A25-54 (000). Excludes kids, news, and sports nets. ION Television is a leading U.S. general entertainment network, combining high-quality programming and dependable broadcast distribution with an attitude of innovation and growth normally associated with a cable channel. Its “Positively Entertaining” network brand positioning features a formula of proven series, an expansive catalog of blockbuster movies and a commitment to introduce new original programming. Since its recent launch in 2008, ION’s reach has grown to 99 million households and has become one of the top-15 TV rated U.S. networks in record time. For more information, visit www.iontelevision.com. What do you think? Will you be watching Flashpoint on ION? Are you excited about the new episodes? Flashpoint: Season Three Delayed, Will It Be Cancelled? Flashpoint: CBS Renews Series for Season Two, When Will It Return? Flashpoint: Will the CBS Cop Drama Return for Season Two? Where is “MY FLASHPOINT”!!! I was ready to watch it tonight and this Psych program is on…….we demand that it returns back in it’s time slot 1am/12am. we are SORRY but Psych is not a choice in our area!! PLEASE BRING FLASHPOINT BACK!!!!!!! LOVE Flashpoint! Watch it every time an episode shows. Have dvr set to record all episodes in case we don’t get home in time that evening. Watched original episodes & will continue to watch them all on Ion. Any news on another season? Yes I will continue to watch this show.It’s a great show! Amazing show , absolutely love the story line and characters. In love with this show!!!!! Hope it comes back!!!! in a very long time! it is so realistic and shows a lot of what the real cops deal with everyday.if you ever give out rewards for a series,it ought to be FLASH POINT’! I really hope something can be worked out to keep flash point on the air. i miss flashpoint very much. it’s a lot better show than the junk thats on tv now. give them some of the time slot you give to criminal minds. that show is wicked. bring flashpoint back on tue. and wed. as before you took them completely off the air.